The 31st Westlicht Photographica Auction begins at 11 a.m. on 10 June 2017 in Vienna, Austria. The 244 lots include numerous Leica products and exciting rarities. These include, for example, a very early Leica I with an Elmax lens (Lot 1) from 1925. The camera has a starting price of 15,000 euros and an estimated hammer price of between 28,000 and 32,000 euros. Lot 75 is a rare Leica camera in excellent condition – the black paint M3 is one of the first series from 1959, has a starting price of 18,000 euros and is estimated to achieve a hammer price of between 25,000 and 35,000 euros. Another highlight of the auction is the Leica MP-292 (Lot 78). 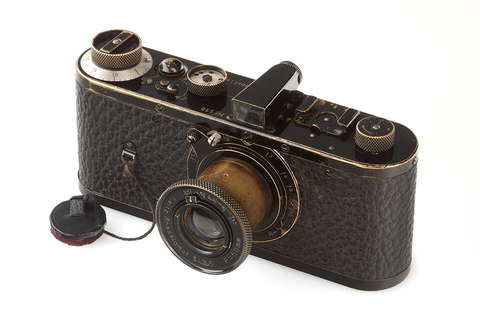 Bidding for the camera from 1958 starts at 18,000 euros and is estimated to end between 35,000 and 40.000 euros. An extremely rare highlight among the Leica equipment at the auction is the so-called ‘Rundbild’ outfit for 360° photography, supplied to the Germany Army in 1944. Only four of these outfits with the matching tripod are known to exist. This lot with the number 199 will be entering the auction at a starting price of 40,000 euros and has an estimated value of 70,000 to 90,000 euros. Amongst the ‘Leica Copies’ is the well-known and extremely rare WICA (Wiener Camera) from 1948 (Lot 253) with a starting price of 2,000 euros and an estimated hammer price of between 3,500 and 3,800 euros. In addition to Leica products, the auction will also be offering numerous attractive collectables and rarities from other manufacturers. Bids can be placed online, on the phone, by fax and live from around the world at www.liveauctioneers.com, or in person in the WestLicht auction rooms at Westbahnstrasse 40, 1070 Vienna, Austria.